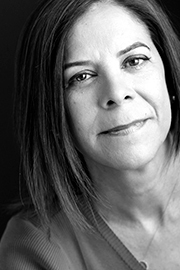 A Pushcart Prize nominee and award-winning short story writer, Désirée Zamorano's stories and essays have appeared online and in print in the Los Angeles Times, Huizache Magazine, and Kenyon Review, and alongside Walter Mosley in the current anthology, The Obama Inheritance (2017). Her novel, The Amado Women (2014), is about four Latinas linked by birth, separated by secrets. Zamorano delights in the exploration of contemporary issues of injustice and inequity, via her mystery series featuring private investigator, Inez Leon. The first in the series, Human Cargo (2011), was Latinidad's mystery pick of the year. Zamorano lives and thrives in Southern California.